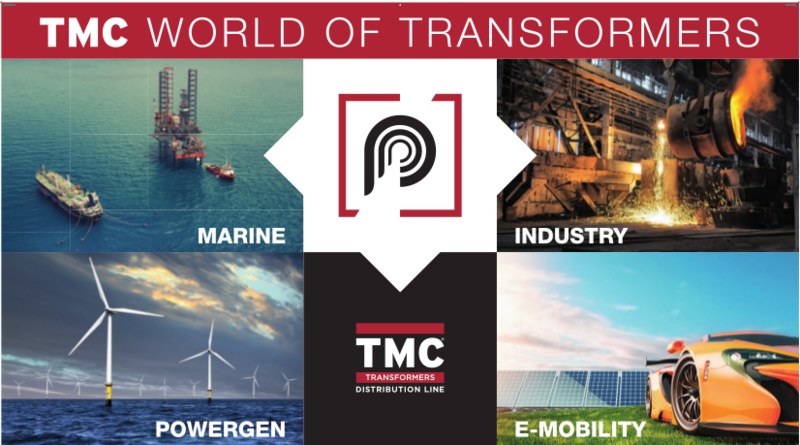 TMC Transformers new website is online! Welcome to the new website of TMC Transformers SpA. TMC is glad to show its new image and logo, with a completely new website. Here you can find all information and contacts you may need. Home page. An interactive map where to discover our World of Transformers: move the mouse on the red dots and find out all our applications. Company. Our company presentation, with our new logo and a corporate video to show you our facilities and markets. Distribution Transformers. Download the technical data-sheets you need and do not hesitate to ask for a quotation using our new RFQ form. Special Transformers. Our new branch of products: special transformers for special application: marine & offshore, power generation, industry and so on. Fill in the dedicated RFQ form or contact us directly for any enquiries. Technology. Cast resin, VPI and liquid cooled transformers. Our R&D department is always looking for innovation and better raw materials. Testing room. TMC boasts an avant-guarde testing room for both Routine and Type Tests. Service. Our quality passes also through a very high and dedicated assistance, available 24/7. Magazine. Read our news to be always updated with our activities. Contacts. TMC Transformers is based in Northern Italy, in a strategic position closed to Milan Malpensa airport. Please feel free to contact us by phone, mail or via form.